Merry Christmas Eve all! Before I head off to hang out with the family, just wanted to quick post the tote I will be carrying all my gifts in on Xmas. 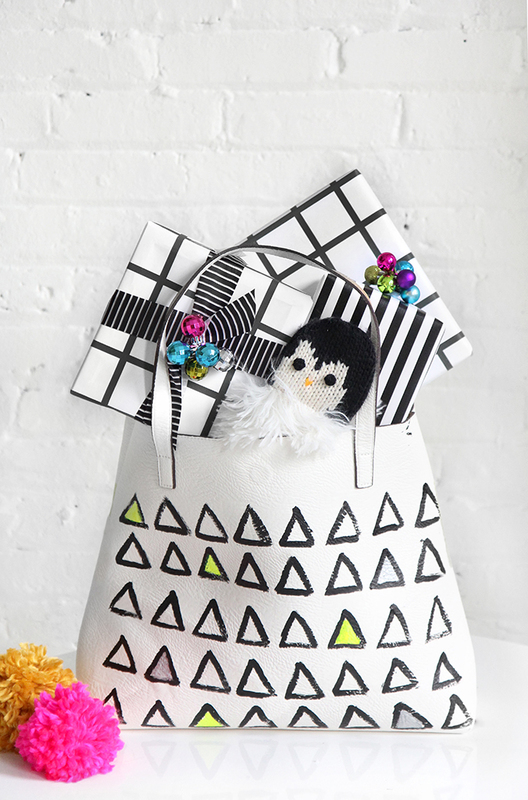 This reversible tote is pretty much the best, but the white side was just asking to be jazzed up. 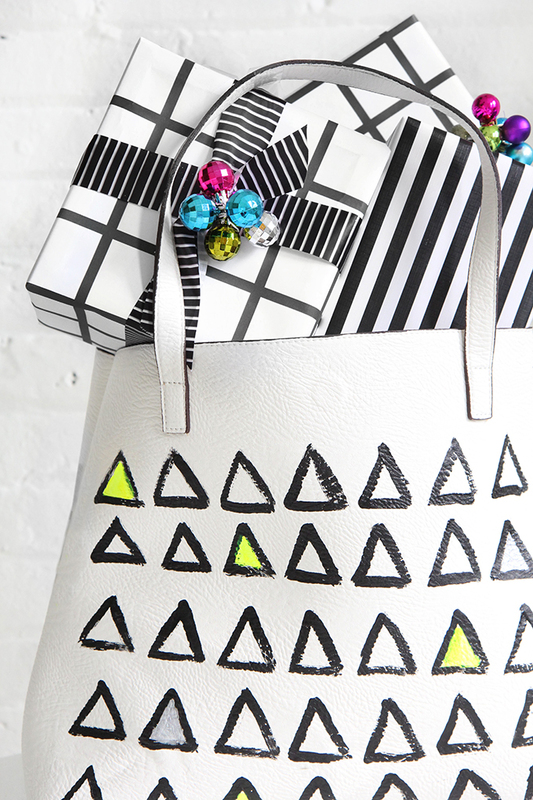 With leather paint, I started drawing on triangles, giving it a graphic makeover, and then for a little pop of color, filled in a few with neon yellow and silver. Pack it with your gifts and critters gloves and you are ready for the holidays! Steps and supplies after the break. Also, A couple of weeks ago I did a super fun shoot with American Express for a few holiDIYs. 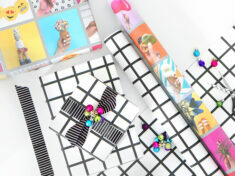 First up, we partnered up with Nike to show you a few more ways to wrap these great gifts. I totally love those boots, I can’t wait for the first snow to wear them, a must-purchase with a Nike gift card, redeemed with Membership Reward points! Next up, a few last-minute holiday party outfits, check out the festive day-to-night ideas I helped create when I partnered with Banana Republic. They are sure to dazzle! Learn how to use #MembershipRewards points to redeem a Banana Republic gift card for holiday shopping here! Happy Holidays! Start by painting on a row of triangle. To keep your rows straight, you can use tape to create lines, or mark dots for the top of each triangle. 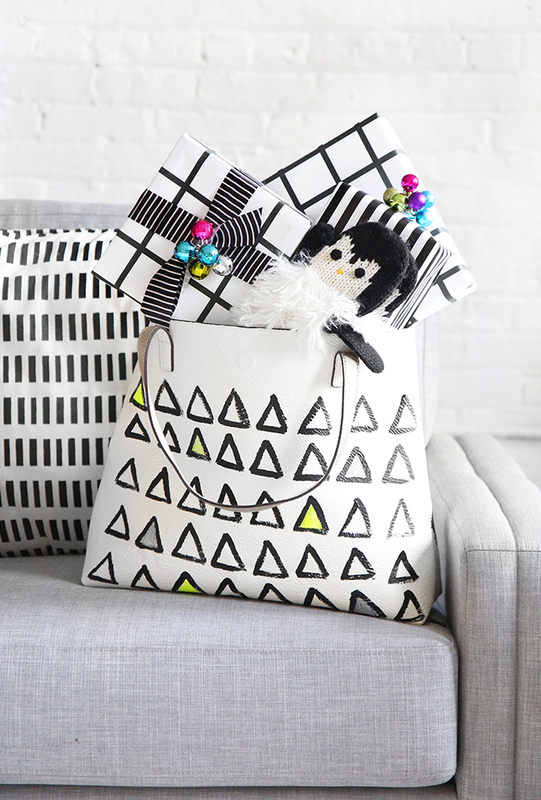 Fill in random triangles with silver and neon yellow. Let dry. Pack up your gifts and head home! 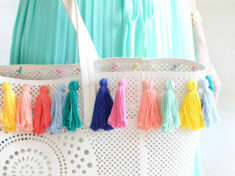 That tote is so fun! I love it! What a cool design, looks great! I thought you had made the bag yourself at first, was super impressed and ready to copy haha. Still you’ve turned something plain in to something fashionable and I love it. 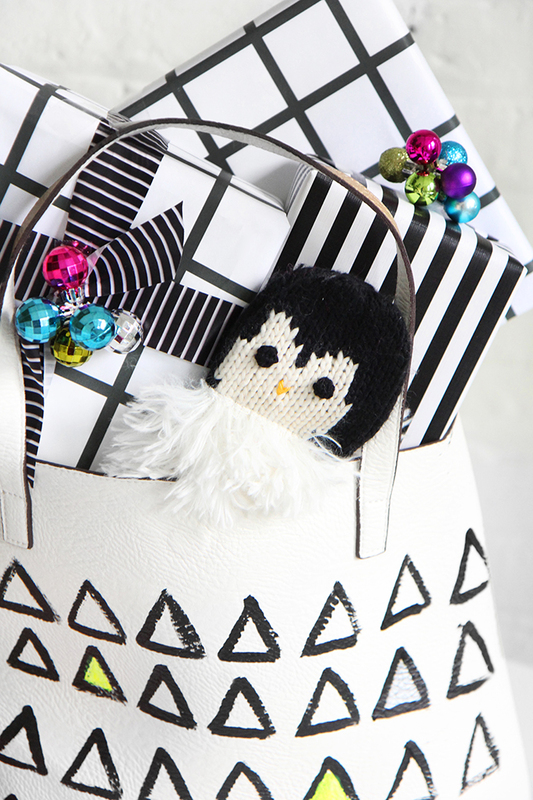 Ahhh how fun is this little tote! I Love this idea! I might spice up one of my old totes! 🙂 Great idea and a happy new year to you too! What a great holiday gift? So Cute. I had no idea you could paint leather – cool! Wow love it! I didn’t even know leather paint existed! These are so fantastic. Wonderful look! 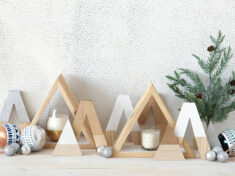 Not sure about the triangles, but I love the idea! I have a leather purse which needs an update. I had no idea you could paint it! Does the colors stay on well? I love this! It looks like a designer handbag. Don’t think anything I try would turn out as good as this though! Such a clever and simple idea! Thanks for sharing! Well done!I should learn from you. Great idea and great pic!!! Happy new year!